Over the last several years the focus on thread count has dominated the bed linen industry. The thread count numbers have kept going up. First we wanted 400-thread count and now everyone wants 1000-thread count. Sadly by focusing only on thread count, the customer is not getting the best product. In fact, thread count is not even the most important quality indicator. Fibre quality - 100% cotton sheets are by far the most popular and widely used type of sheets. There is a huge variety in the quality of cotton sheets. 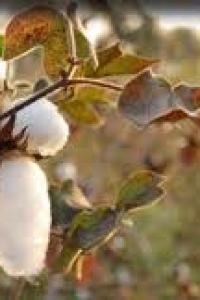 The highest quality cotton is long staple cotton. Staple refers to the length of the cotton fibre; the longer the fibre the better because it creates stronger and finer yarns. Yarn size - The fineness of each yarn is what the term yarn size refers to – the higher the yarn size, the finer the yarn. Finer yarns allow for lighter, more supple fabric. Higher thread counts are created with finer yarns as more of them can be woven into a square centimetre. Also super fine yarns can be twisted together, creating 2 ply yarns that can then be woven into sheeting. Finishing - After the cotton yarns are woven into a fabric, the fabric needs to be ‘finished’. This includes singeing and mercerising. The singeing process is vital; it burns off the tiny fuzz that can later develop into pilling on your sheets. Mercerising is a treatment conducted under tension, in order to increase strength, lustre and affinity for dye. Cotton sheets of lesser quality may not be singed or mercerised. High quality organic cotton sheets will always be. Thread count and construction - thread count is simply the number of threads per square centimetre of fabric. These consist of vertical threads (warp) and horizontal threads (weft) woven together. Construction refers to how the thread count is achieved (number of warp and weft yarns, number of picks in the weft, use of 2 ply yarns etc). To achieve higher thread counts, sometimes 2 ply yarns are used and sometimes multiple yarns (picks) are inserted into the weft. In weave quality terms alone, the best fabric will be made with single ply yarns and have a single pick. The highest thread count you can get with this type of construction is 360. Above that, 2 ply yarns and/or multi-picks must be used. In a quality product, the incremental comfort value of increasing thread count over 300 is very little. A 300-thread count can feel far superior to a 1000-thread count. Thread count has become a simple metric used by marketing people to capture interest and impress with high numbers. The problem with mass produced high thread count sheets is that to keep the price down, important elements of quality must be sacrificed, meaning in the end the customer gets a product with an impressive thread count but that probably feels no better (or even worse) than something with a lower thread count. Weaving with 2 ply yarns that do not have a high enough yarn size so the end product feels heavy and blanket like. Inserting multiple yarn threads into the weft. These are usually visible to the naked eye. We’ve heard of as many as 8. This practise reduces the quality of the fabric; it seems less tightly woven despite its higher thread count. Lately, the sheeting market in the USA has been focusing on “single ply” as a selling point because customers are catching on to the fact that high thread count does not necessarily equate to quality. But cotton sheets made with single ply yarns with 6 to 8 picks do not result in the best feeling weave. There is no simple answer to the thread count, ply and pick game; there are thousands of combinations that will make a beautiful product. Keep in mind that with higher thread counts, price and quality do go hand-in-hand. An extremely high thread count cotton sheet at a very low price is exactly what it sounds like: too good to be true. This is not to say that you have to spend a small fortune for quality sheets – just don’t fall into the thread count trap. Unfortunately, a lot of companies don’t make it easy to be well informed. We would like to encourage customers to focus less on thread count and more on the other quality indicators (fibre quality, yarn size, finishing and construction). We believe you will get a better, more comfortable product that truly represents quality and value. You can buy organic cotton sheets on this site, made in New Zealand with honest, internationally recognised organiccertification.